​​Huddersfield host ​Cardiff in a Premier League clash at the John Smith’s Stadium on Saturday in a match in which both sides are looking to bounce back from disappointing starts to the season. Huddersfield in particular have been left wounded by back to back thrashings at the hands of Chelsea and Manchester City, whilst a defeat and a draw was not the ideal way for Cardiff to begin life back in the Premier League. David Wagner’s side have shipped nine goals in their opening two matches and must address their defensive problems on Saturday, whilst ​Cardiff failed to register a goal in their opening two matches and will be looking to sharpen up in attack at the John Smith’s Stadium. Huddersfield’s tough start to the season began with a 3-0 defeat at home to Chelsea in what was an early indication of the scale of the task that lies before David Wagner’s side in the Premier League this term. Maurizio Sarri’s side ran out comfortable winners, and the Terriers must seek to restore some of the more resolute home form which saw them defy the odds upon their first Premier League campaign last season on Saturday. A 6-1 dismantling at the hands of champions Manchester City last weekend will have done little to encourage ​Huddersfield of their long-term prospects, and Wagner’s side simply must tighten the ship if they are to survive another season in the top flight. Cardiff, though, do not pose the same level of threat to the home side this weekend. Neil Warnock’s side suffered a disappointing start to their campaign with a 2-0 defeat away to Bournemouth, though a 0-0 draw at home to Newcastle last weekend showed signs of improvement. The newly promoted side must build on that resolve and find their goalscoring touch before their failure to register a goal in this campaign becomes a bigger issue. The two sides last met in a Championship clash in May 2017, a match which Cardiff ran out comfortable 3-0 winners at Huddersfield. The result forced the home side into the Championship play-offs, which of course they went on to win against Sheffield Wednesday. Cardiff have now joined David Wagner’s side in the top flight two seasons on and will likely face a greater challenge as underdogs this time around, being the newly promoted side. Kenneth Zohore gave Cardiff the lead on the previous occasion before a Joe Bennett double put the seal on the three points. The Bluebirds arrive at the John Smith’s Stadium this time around looking to repeat the trick, though David Wagner’s side’s superior Premier League experience may give the home side the edge in the latest edition of this fixture. With both sides seeking an attacking spark to ignite their slow starts to the season, the wide men of each team could be key to opening up what is likely to be a tight match. Each side possess wingers who are capable of causing problems and it is in these areas in which the match could be won. For Huddersfield, Alex Pritchard is a key part of the home side’s attacking prospects. The Englishman was a big signing from Norwich in January and will be looking to deliver in his first full season at the John Smith’s Stadium. Pritchard struggled to make an impact against opposition of Chelsea and Manchester City’s quality in the previous matches but will be hoping to showcase his ability to his home fans on Saturday. Junior Hoilett is an experienced Premier League campaigner and will be looking to lead from the front for Cardiff this season. His pace and trickery will provide plenty for the Huddersfield defence to deal with on Saturday, and the winger’s direct approach could be key to unlocking David Wagner’s side. David Wagner will be without the injured trio of Danny Williams (ankle), Erik Durm (match fitness) and Mathias Zanka (thigh) for Saturday’s match, whilst there are uncertainties over the fitness of Jonathan Hogg, who has been struggling with a hip problem. Cardiff, meanwhile, will be without injured midfielder Aron Gunnarsson, who has missed the start of the season with a knee problem. Neil Warnock also has concerns over the fitness of Junior Hoilett, after the winger picked up a knock against Newcastle, but he should be available for selection. 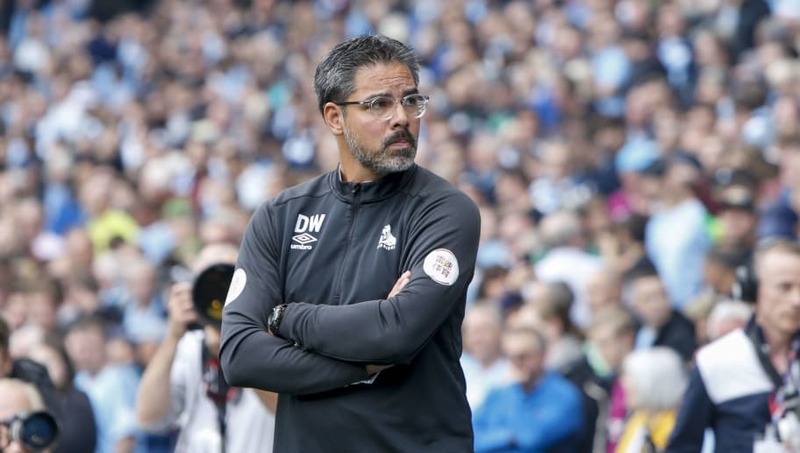 Huddersfield’s confidence will be at a low following two hefty defeats in succession in their opening two matches of the season, but David Wagner will use his positive energy to lift his charges to deliver a more positive performance against a more manageable level of opposition on Saturday. Cardiff demonstrated their resilience with a goalless draw against Newcastle last weekend but will be without the home comforts that they enjoyed last weekend. Neil Warnock’s side will be encouraged by their previous encounter at Huddersfield, though, and should provide a decent test for the Terri.